Visited the National Air and Space Museum yesterday. 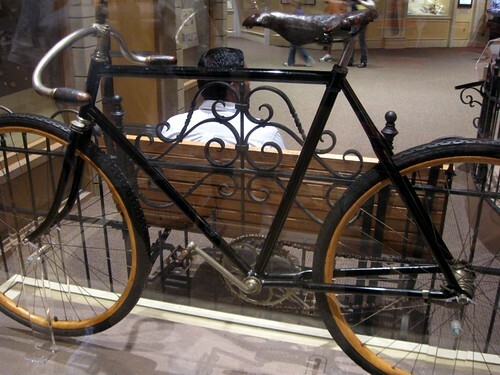 Below are images of one of five remaining bicycles from the Wright Cycle Co., Located right next to the original Wright Flier; "The Wrights used the profits from the Wright Cycle Company to finance their aviation experiments." This St. Clair model was built in 1898 and sold for $42.50, about $370 today, adjusted for inflation. 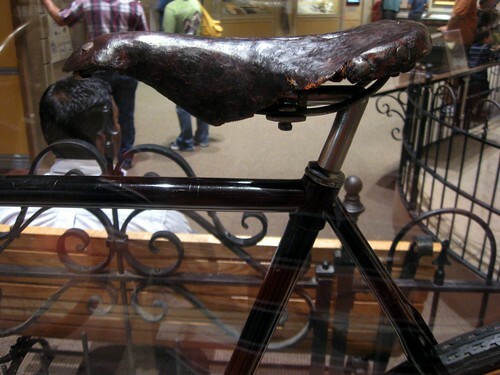 That's a well worn wrapped leather saddle. 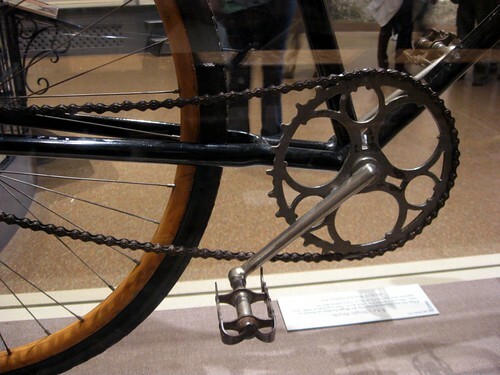 Note the seat post collar, looks like a modern threaded headset. Tighten up that chain, Orville!